Dilyara Idrisova was born in 1989 in Ufa (the Republic of Bashkortostan). In 2007 graduated from Secondary specialized music college where she studied piano. In 2012 Dilyara Idrisova graduated from Ufa State Institute of Arts named after Zagir Ismagilov where she studied solo singing (class of Professor Milyausha Murtazina). In 2015 she did an assistantship-internship in Moscow State Tchaikovsky Conservatory (class of Galina Pisarenko). Dilyara Idrisova attended masterclasses with Aleksandrina Milcheva (Bulgaria), Deborah York (the UK), Max Emanuel Cencic (Austria), Barbara Frittoli (Italy), Il`dar Abdrazakov, Yuliya Lezhneva. Dilyara Idrisova is the winner of Grand prix of the International contest “The Art of XXI Century” (Italy, 2011) and The Second International Contest named after Zagir Ismagilov (Ufa, 2011); she got gold medals of The 10th Russian Youth Delphic Games (Tver’, 2011) and The 13th Delphic Games of the CIS Member States (Novosibirsk, 2013). Dilyara possesses a diploma and a special award of The 6th International Opera Singers Competition “Saint Petersburg” (2013). She is the laureate of International Student Vocal Competition “Bella voce” (Moscow, 2012, second prize), N. Sabitov Competition (Ufa, 2013, third prize), Vocal Competition of Competitions as a part of the 27th Sobinov Music Festival (Saratov, 2014, third prize). Semifinalist of "Operalia" competition (London, 2015). Dilyara Idrisova won the Award of the President of the Russian Federation for Support of the Talent Youth (2010, 2011) and the grants of the President of the Russian Federation and the President of the Republic of Bashkortostan (2011, 2012). She took part in the concert-presentation of the Republic of Bashkortostan at UNESCO Headquarters (Paris, 2013). In 2012-2013 Dilyara Idrisova worked in Chelyabinsk State Theatre of Opera and Ballet named after M. Glinka where she made her debut as Lyudmila in Glinka’s Ruslan and Lyudmila and Adel in Strauss’ operetta Die Fledermaus. 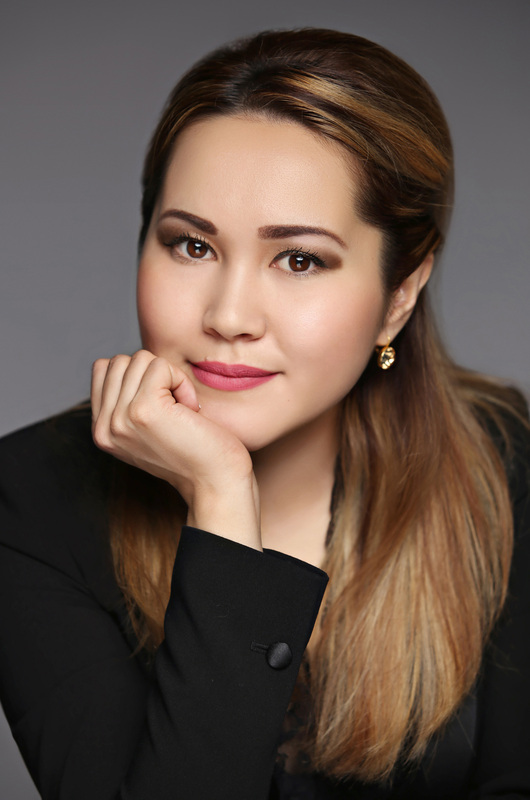 Starting from the season 2014/2015 – Dilyara Idrisova is the soloist of Bashkir State Opera and Ballet Theatre. On 15th September, 2014 Dilyara Idrisova performed Princess Lizaura part in Handel’s opera Alexander in Tchaikovsky Concert Hall (concert with Julia Lezhneva, Max Emanuel Cencic, Xavier Sabata and other world opera stars; Armonia Atenea orchestra conducted by George Petrou). In March 2015 she sang this part again on the stage of BOZAR Hall in Brussels and in June – in the theatre of Bad Lauhshtadt City (Germany). In November 2014 Dilyara took part in T. Linley’s music performance to Shakespeare’s tragedy Tempest with Musica Viva Moscow chamber orchestra and vocal ensemble Intrada. It was the closing of “Posol’skie Dary” festival in the Armory Chamber of the Kremlin (for the Year of Great Britain in Russia). In January 2015 Dilyara Idrisova took part in the concert “Maxim Dunaevsky and the new stars generation” dedicated to 115th anniversary of I. Dunaevsky and 70th anniversary of M. Dunaevsky. The concert took place in the Great Hall of the Moscow Conservatory. In August 2015 Dilyara Idrisova took part in the professional recording of G. B. Pergolesi’s Adriano in Siria where she performed Sabina part. On 4th December, 2015 there was a concert performance Adriano in Siria on the stage of Royal Opera of Versailles (France) with Franco Fagioli, Romina Basso, Juan Sancho and other world opera stars and Саpella Cracoviensis orchestra conducted by Jan Tomasz Adamus. In October 2015 Dilyara Idrisova made a debut with the role of Arasse in Hasse’s Siroe in Tchaikovsky Concert Hall, in Congress Center (Krakow) and in Concertgebouw (Amsterdam) – the cast included Julia Lezhneva, Max Emanuel Cencic, Juan Sancho, Roxana Constantinescu, Mary-Ellen Nesi with Armonia Atenea orchestra conducted by George Petrou. In May 2017 Siroe was performed by the same cast on the stage in Wiesbaden (Germany). In December 2015 Dilyara Idrisova made a debut with the role of Princess Iole in Handel’s Hercules in Baskir State Opera and Ballet Theatre. The conductor is Artem Makarov. On 8th January 2016 she participated in the performance of Handel’s Messiah oratorio with the Moscow Chamber Orchestra and Intrada ensemble during the 5th Moscow Christmas Fest in Svetlanov Hall of Moscow International Performimg Arrts Center. The conductor is Frieder Bernius. In August 2016 Dilyara Idrisova participated in CD recording of Porpora’s Germanico in Germania as Rosmonda. On 27th January, 2017 Germanico in Germania was performed in Krakow opera theatre (Poland) and on 30th March – in Theater an der Wien (Vienna, Austria). The cast included Julia Lezhneva, Max Emanuel Cencic, Mary-Ellen Nesi and others with Саpella Cracoviensis orchestra conducted by Jan Tomasz Adamus. In March/December 2016 she performed soprano solo in Bach’s St John Passion, St Matthew Passion and Christmas Oratorio in Gasteig Philharmonie (Munich); the conductor is Hans-Jorg Albrecht. 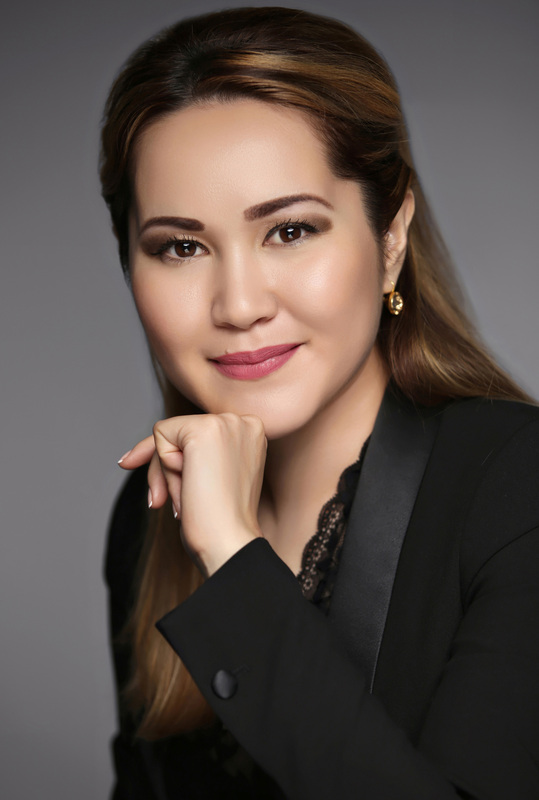 In November 2016 Dilyara Idrisova has been awarded with the National Opera Prize “Onegin” in nomination of “Debut” for the role of Iole in Handel’s Hercules (St. Petersburg). In June 2016 she performed as Armira in Handel’s Scipione at the annual Handel-festival in Bad Lauchstadt (Germany). In September 2016 Dilyara Idrisova won the 2nd Grand Prix and the Prix du Public at the “51 Concours International de chant de Toulouse” (France). In October 2016 she performed the role of Asteria in Handel’s Tamerlano in Auditorio National (Madrid). The cast included Max Emanuel Cencic, Xavier Sabata, Romina Basso, Juan Sancho, Pavel Kudinov and Il pomo d'oro orchestra conducted by Maxim Emelyanychev. In March/April 2017 Dilyara performed the role of Poppea in Handel’s Agrippina in Vlaamse Opera (Antwerp, Belgium). The cast included Ann Hallenberg, Tim Mead, Balint Sabo, Renata Pokupic, etc. ; the conductor is Stefano Montanari. In April 2017 she has been awarded with National prize “Golden Mask” for the role of Iole in Handel’s Hercules (Moscow). In May/June 2017 Dilyara performed Idaspe part in Vivaldi’s Tamerlano at Beaune festival in Bonn (France) and Dortmund (Germany) with Les Accents orchestra conducted by Thibault Noally. 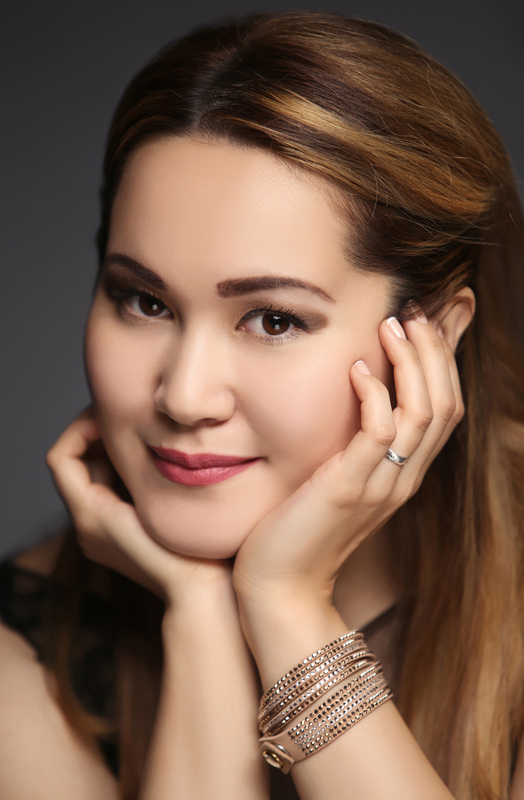 In July 2017 Dilyara sang Teofane part in the concert version of Handel’s Ottone. The cast included Ann Hallenberg, Max Emanuel Cencic, etc. with Il pomo d'oro orchestra conducted by George Petrou (Beaune festival, France). With the same cast this opera was performed in Theater an der Wien on 24th September. In September 2017 Dilyara Idrisova has been awarded with the 3rd prize and a special prize of Elena Obraztsova International Competition of Young Opera Singers (St Petersburg). On 3rd November 2017 she took part in Gala-concert of Russian Music Theatres Festival “Videt’ Muzyku (See the music)” that was held in Beethoven Hall of the Bolshoi Theatre. On 17th December, 2017 Dilyara made her debut as Marfa in Nikolai Rimsky-Korsakov’s The Tsar's Bride in Baskir State Opera and Ballet Theatre. The conductor is Artem Makarov. On 18th January 2018 she appeared in the concert of the State Academic Symphony Orchestra Evgeny Svetlanov. The orchestra conducted by Mikhail Antonenko. The Great Hall of the Moscow Conservatory. In April 2018 she participated in the benefit concert of "Marhamat" Charitable Foundation as the part of the 1st Ildar Abdrazakov International Music Festival (Ufa). On 28th April, 2018 Dilyara Idrisova performed as Flaminia in Haydn’s Il mondo della luna (The World of the Moon) in Baskir State Opera and Ballet Theatre. The conductor is Artem Makarov. 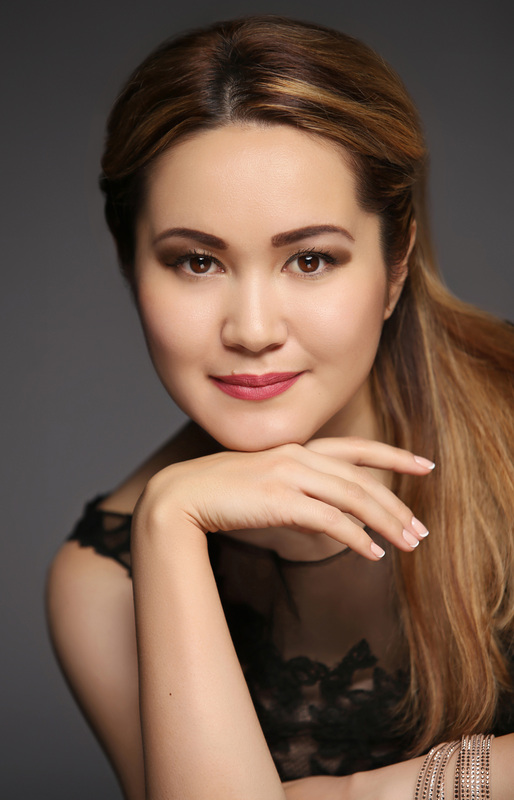 In May 2018 Dilyara Idrisova performed as Calloandra in Salieri’s La fiera di Venezia at the festival in Schwetzingen (Germany) with L'arte del Mondo orchestra conducted by Werner Ehrhardt. In September she performed as Giuditta in L. Vinci’s Gismondo re di Polonia with Capella Cracoviensis orchestra conducted by Jan Tomasz Adamus in An der Wien Theatre (Austria) and in Katowice (Poland). On 17th September, 2018 Dilyara Idrisova participated in Shalyapin Festival in Ufa with the part of Marfa in Nikolai Rimsky-Korsakov’s The Tsar's Bride. The conductor was Artem Makarov. On 3rd November, 2018 she performed as Calloandra in Salieri’s La fiera di Venezia in Leverkusen (Germany), the conductor is Werner Ehrhardt (the opera was recorded on CD by SONY label). On 20th November, 2018 Dilyara took part in “Italian Baroque” programme as the part of “Posol’skie Dary” festival in Armory Chamber of the Kremlin with Musica Viva orchestra conducted by Alexander Rudin. On 17th December she appears in the concert version of Porpora’s Germanico in Germania in Tchaikovsky Concert Hall (Moscow) with Capella Cracoviensis orchestra conducted by Jan Tomasz Adamus. On 7th January 2019 Dilyara Idrisova performed soprano part in Bach’s Christmas Oratorio in the Great Hall of the Moscow Conservatory. Musica Viva orchestra conducted by Alexander Rudin, Intrada ensemble conducted by Ekaterina Antonenko.